The STARTER KIT includes the 360 degree spin universal foundation brush head no. 1 (it can apply any foundation you use: liquid, cream or powder), blendSMART automatic brush handle and one lithium battery CR123A 3V. Currently it's $59.98 and can only be purchased on QVC. 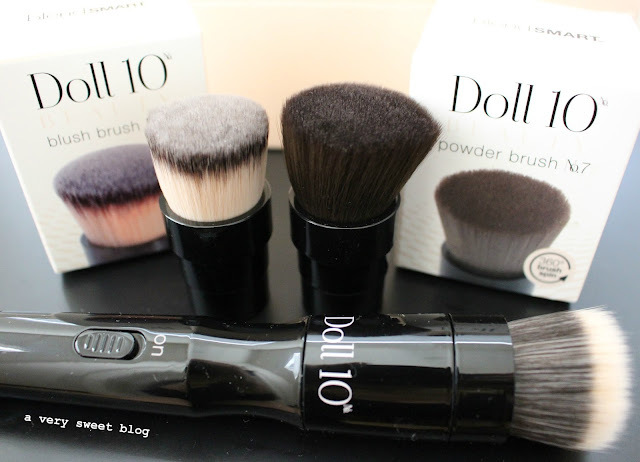 Replacement brushes can be purchased on QVC and on the Doll 10 website. I show it's use in my YouTube video below, but I really like it! You use less foundation! Even if you use too much (as I did in the video), it spreads the foundation out and blends everything in. The bristles are soft and it never irritated my sensitive skin. Doll 10 suggests you use sweeping motions (left to right) instead of circular ones. You don't have to press hard to blend. Let the brush do the work! So it functions well! Just one little gripe. It does make a whirling twirling mechanical sound. I wish it was a little more silent, but it's nothing that would give you a headache. The foundation brush easily pops off for cleaning and you would clean it just as you would your other makeup brushes. I'm guessing the battery lasts a very long time, because it is not offered on either website. I really like this foundation brush and want to buy more. Oh one other thing! I wear contacts, so be careful around the eyes. This got 4 out of 5 stars on QVC's website. I give it a sweet rating. 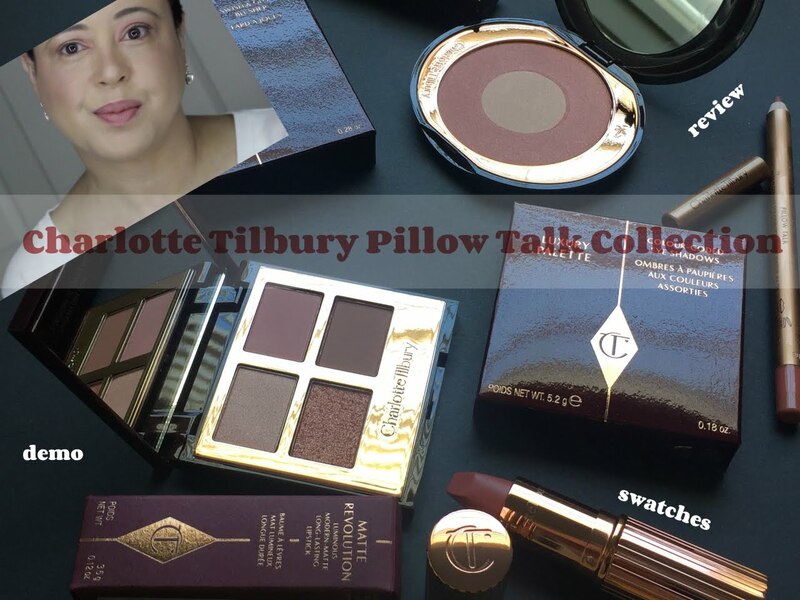 I definitely see other beauty companies coming out with one in the future. 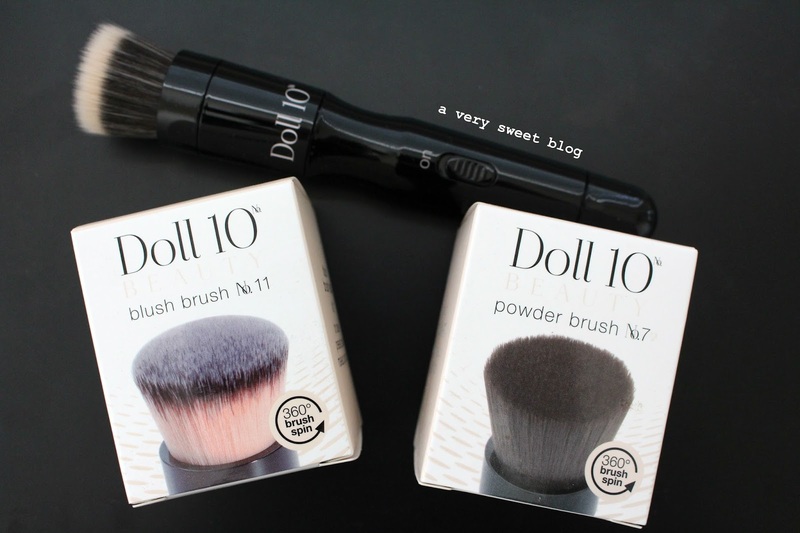 In addition to the FOUNDATION brush, they also sent me their rotating BLUSH brush and POWDER brush. These are NOT in the starter kit and must be purchased separately. They are $22 each on QVC's website and $24.50 each on Doll 10's website. These are awesome! The BLUSH brush can be used for all of your blushes (I tried it with powder blush in my video below). 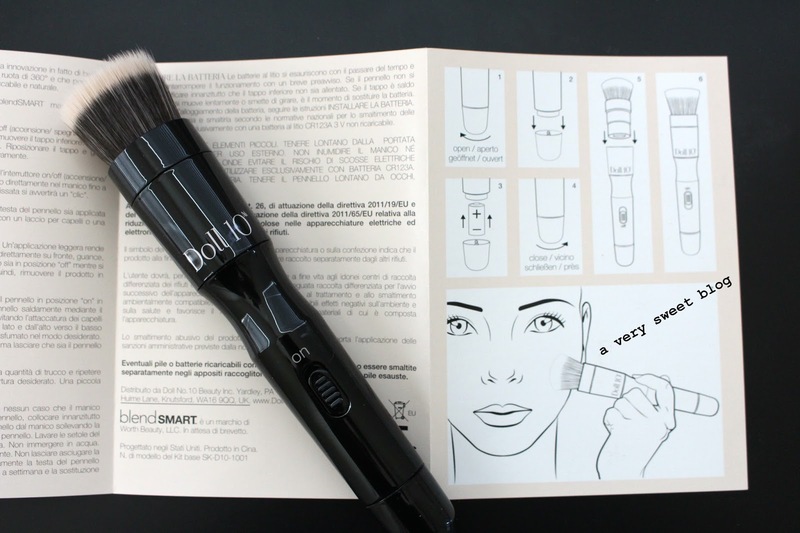 The POWDER brush can be used with whatever you use to powder your face. I show both in my video! These did an excellent job blending my blush and powder into my foundation. I'm just finding out that my brush should've been off when dipping it into my blush and powder...OH WELL! HAHAHA I was just too excited and didn't read the directions first! HAHAHA Be sure to follow me on Snapchat (averysweetblog) for previews and other serendipitous things that happen in my life. Here's my video, using it for the VERY first time! Let me know your thoughts! THIS IS SO COOL! haha. I need it! 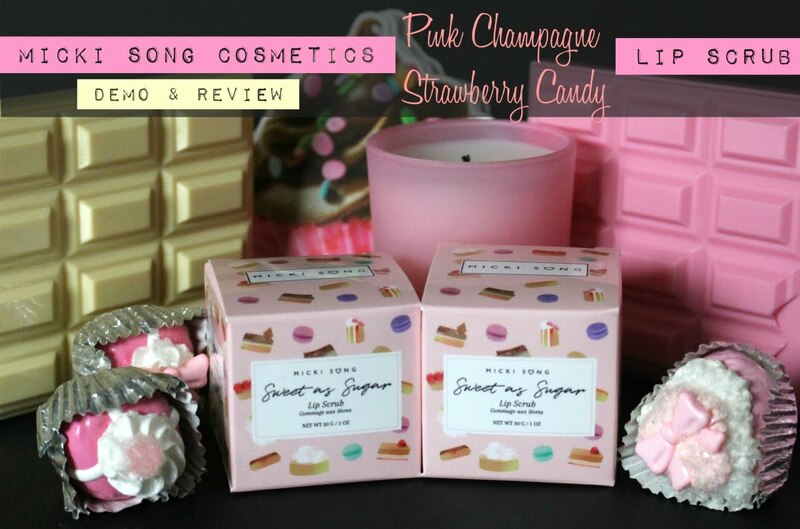 And your review of it was awesome and really helpful as were the pictures/video!! Great review, I really liked your video. Your voice is very soothing. I like the idea it has interchangeable brushes. What a cool and clever brush! I'm not surprised they make blending a breeze and I like that you can get away with using less product. Thanks for such a detailed review Kim! You're so good at explaining how they work! I probably shouldn't admit this, but I still apply my foundation with my fingers! Very old school, I know. I've experimented with various brushes in the past but I find the daily washing is just so messy and takes up more of my time in the morning than it should. Still, these do look like they would be fun to try! I am not a big foundation fan, but I love a good BB cream, though. I think it's a good idea to have a brush like that. When I was reading your post, I thought hmm, I don't think I need it but after watching your video, I need these in my life! How fun was it to use these brushes?! I've never heard of brushes like these Kim!! I can't wait to watch your video later so I can see how they work! They sound super nice, and if they feel anything like their contour brush I would be in love with them! I need this brush in my life! How cool is this?! A brush that rotates! Great video and post Kim! What a great idea for a brush! I know that makes blending a breeze. I've never seen such a brush before. Thanks for telling us about this! OMG haha this is UBER cool! I think i wouldnt mind using this!!! I wish you could've inserted a clip of the song for that bit, that would've been fantastic. But this was such a great review Kim, great job on the video! These seem like some fantastic brushes. 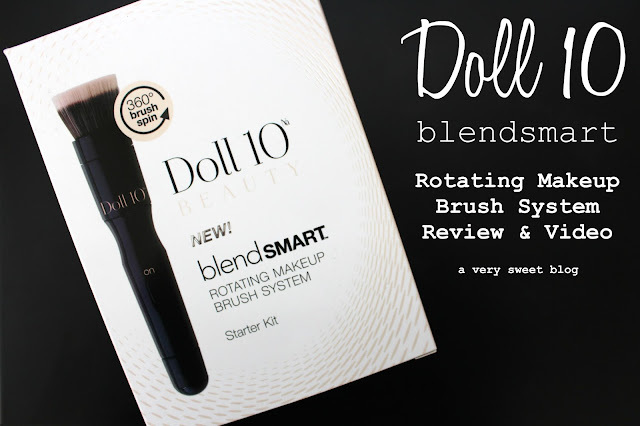 The rotating brush idea has me seriously intrigued...I wanna try it! Wow, this brush looks great! Amazing rotating brush. Just when I thought I had seen it all… a rotating brush !!! I love to find items that still surprise me. Omg, this looks so much fun! The price is not too bad too. I find that there are those days when I like to apply my foundation with fingers and there are when I use brush. I'm not sure why, but I go back and forth. Wow, cool brush! Thanks for sharing this. A heaven sent product! It definitely takes the makeup application to a next level. Just love how accurate and subtle the result is on you, Kim. Absolutely loving this make up look! Need to get my hands on this innovation as well, it's so convenient. Wow, I need these brushes!!!! Looks like a great brush! Great post! This is SO cool! The sad thing is that I have no foundation brushes and this is the ultimate brush! Your voice is so soothing and I really like the application of this brush! This is so cool, it is great that you can change the bristles! Pincel maravilhoso preciso de um desse, tenha um final de semana abençoado. this brush looks so cool! I really want one now!! that rotating brush looks awesome!! looks like the foundation went on well! What a fancy makeup brush you have. I hope you have fun using it. Love this Kim! This looks like it really works well and your first video was great! wowwo i am impressed! I love this! OMG KIM! This is such a cool concept and it's my first time coming across such a cool thing! I feel like this brush in the wrong hands, ie: me, would be horrible! I'm just picturing a scene from The Simpsons (not sure if you watch it, if you don't this will make zero sense) were Homer invents that make-up riffle! Though your video has me convinced nothing could go wrong! Loved your video Kim, I need to see/hear more of you! Wow! 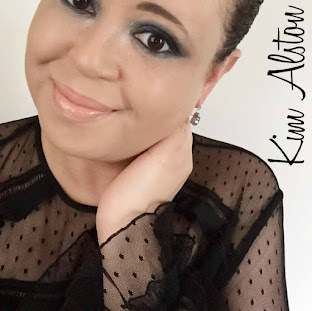 Kim I am very late because I'm just starting to use professional blender brushes and beauty, truth jajajajaj this brush leaves a nice finish is even liked it! Have a nice week! Kisses. I need one of these... I mean I love my beauty blender but the blend of this is perfection. Btw you amazing on camera. Wow this is super cool! I had no idea a rotating brush even existed!! This brush is incredible! And you did an amazing job in your video!!! I loved your voice over and funny comments. The makeup came out so smoothly too! I've never seen a spinning brush before, definitely worth buying.